MANNING – Johnny Michael “Mike” Cooke, 71, husband of Deborah Putnam Cooke, died Friday, December 21, 2018, at his home. Born March 21, 1947, in Florence, he was a son of the late Johnny Preston Cooke and the late Mildred Fogleman Cooke. He was a US Navy veteran and co-owner of World of Color Porter Paint and Decorating Store. He was past president of Pee Dee Area Big Brothers and Big Sisters in Florence where he also served on the National Board for 35 years. He was a member of the Florence Jaycees. He was a member of the Seaside Emmaus Community where he served on the Board and was Lay Director for the Men’s Walk #113. He was a SC Licensed Auctioneer for 20 years. His hobbies included dirt track and NASCAR late model Sportsman racing. He raced motocross professionally for eight years. 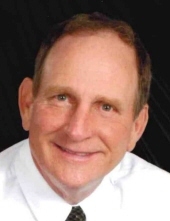 He was a devoted member of New Covenant Presbyterian Church where he served as an Elder and also served as interim youth director for two years. To send flowers or a remembrance gift to the family of Johnny Michael Cooke, please visit our Tribute Store. And other times at the residence. "Email Address" would like to share the life celebration of Johnny Michael Cooke. Click on the "link" to go to share a favorite memory or leave a condolence message for the family.